How Long Should I Let the Concrete on Fence Posts Dry Before Attaching Panels? Standard concrete mixes are available. While cheaper, the drying times are significantly longer; a week versus overnight, for example. 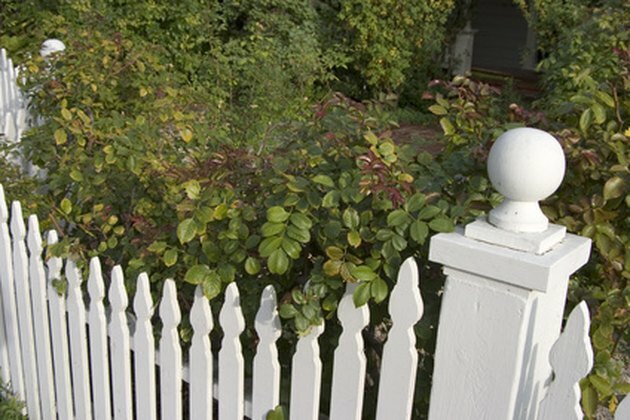 It's critical that a fence post's cement be cured fully before adding the support and rails. Quick curing concrete mixes come pre-packaged and you only add water. "Quikrete," for example, comes in a 50-pound bag and takes only 24 hours to cure. The general consensus is that you use the concrete that best suits your project. In the case of building a fence, you'll likely want to continue adding the support and rails as soon as the posts are set. In that case, the quick curing concrete will allow you to complete your project sooner. Andre Zollars started writing in 1999, when she worked in the editorial department at "The Missoulian." She has been published in "Endovascular Today," "High Country Angler," "Outside Bozeman" and "Western Ag Reporter." She also has written for online magazines New West, Hunting and Fishing USA. Zollars holds a Bachelor of Arts in international studies from the University of Washington. How Do I Change My Address to a P.O. Box? How Long Can You Store Gasoline in Containers?